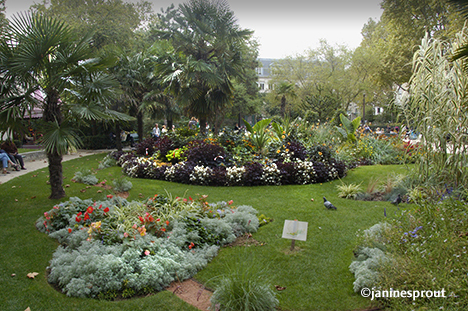 Exit the Sèvres-Babylone Métro station, then orient yourself by turning in a circle to see the historic Bon Marché department store, Luteita Hotel, and luxuriously landscaped Boucicaut Park, a three-fer outing. 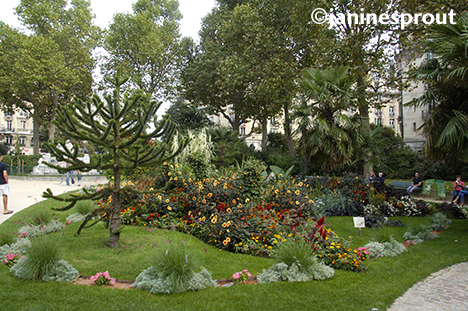 The garden honors the memory of Aristide Boucicaut, the creator of the famous Bon Marché. Around 1870, the shopkeeper launched a revolutionary concept: free entry, the fixed price, lower margins, home delivery, item exchange, mail order, promotional periods and sales, private concerts, a reading area and much more. 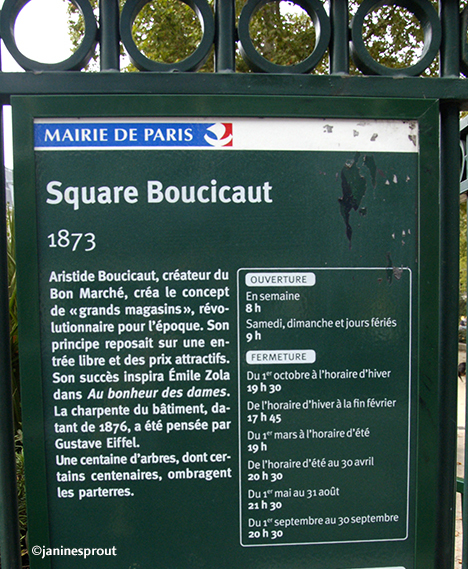 He soon bought the land vacated by the cemetery Hospice of Little Houses and the cemetery of Saint-Sulpice, called the Trinity, in order to open his first store in Paris. I digress to suggest a picnic on one of the park benches. 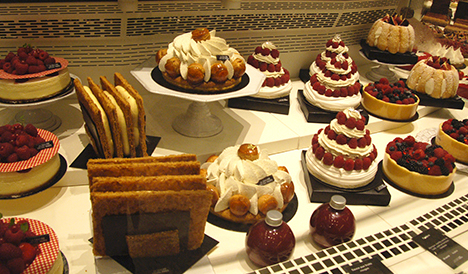 The grandest of grand place for gourmet edibles, 30,000 of them: La Grande Epicerie de Paris is housed on the ground floor of the department store right across the street. They boast verifiably: “an unmissable treat, an unadulterated delight and a unique experience. I like to take away the cold marinated chicken brochettes. Perfect lap food, not too messy. As for the Art Deco Lutetia, if it’s finished with it’s renovation, walk on in to drink in the ultra swank decor.